Hey folks, looks like the leak period of the Maxwell Geforce 800 Series has finally started because specifications and benchmarks of the GTX 870 have leaked out. Even though the leak comes from a source (Coolaler.com) that has leaked authentic information in the past, I would still recommend just the tiniest pinch of salt just in case. Now there is some pretty interesting information about this card. 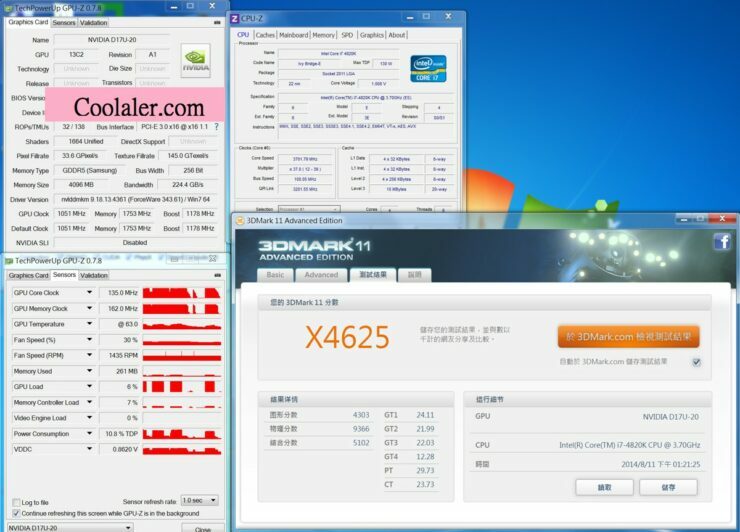 The 3d Mark performance benchmark of the GTX 870 is 11,919 and the extreme score is 4625. Now the GTX 780 scores around that point (4625) so any fears of the Maxwell series actually being weaker than its predecessor should be allayed. If the GTX 870 can score around the GTX 780 then the 880 should score more than the 780 Ti. The specs listed show 1664 CUDA Cores, which means that we are looking at a grand total of 13 SMMs (128 Cores per SMM, 1664/128 = 13). Following the previous generation trend, the Maxwell flagship should have 17 SMMs with a CUDA Core count of 2170 respectively. Basically, you should expect an SMM value of 14 – 17. I Will be really surprised if it goes any higher. The Pixel Fillrate appears to be 33.6 GPixels per second and the Texture Fillrate is 145 GPixels per second. In comparison the values of the 770 were 33.5 and 134 respectively. The bandwidth is 224 GB/s which is to be expected since the card has a 256 Bit Interface. Another interesting thing is that the memory used belongs to Samsung and not Hynix. 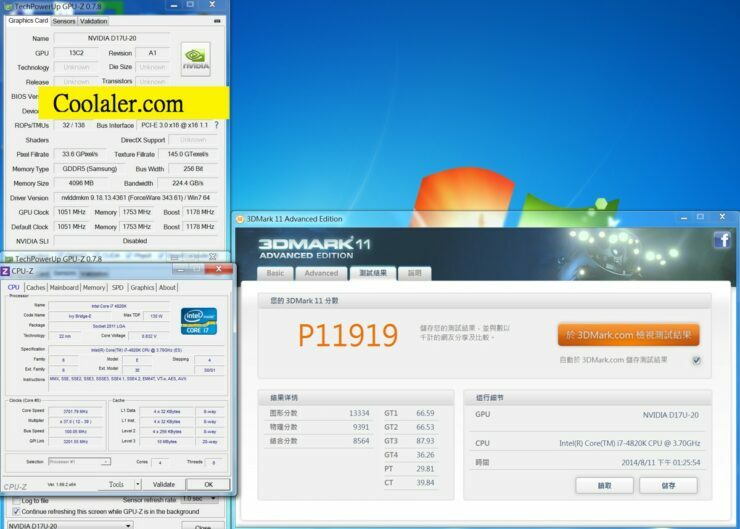 So there you go folks, the first authentic looking leak regarding the Geforce GTX 870 Maxwell.